Revive A Build has been wholly created from a client perspective. As professionals in our trade Revive A Build maintains that customer satisfaction is always paramount. As ambassadors of the construction industry we strive to achieve a level of professionalism that surpasses most other companies. We take our duties to our profession seriously and are wholeheartedly committed to fulfilling clients who render our services. It’s rare to find a company in the building sector that is polite, presentable and professional all at once. 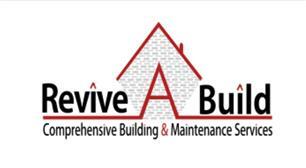 Revive A Build’s aim is to coordinate the logistics and management of smooth operations right up until the completion of the job. Leaving you entirely happy with our labour and satisfied with our effort.